Distrita’s aim to support all kinds of indie-game developers continues! Now we spread info about two Amiga game developers and distributors AmigaTec and AMIWorx. Helping them promoting for their products at one of worlds biggest game expo’s ever. Gamescom is held in Cologne, Germany from 17th of August until 21st of August. So, if you are in the area or intend to visit Gamescom this year. Make sure to say hello to Amiga Racer and Reshoot distributors at this event. But that’s not all! 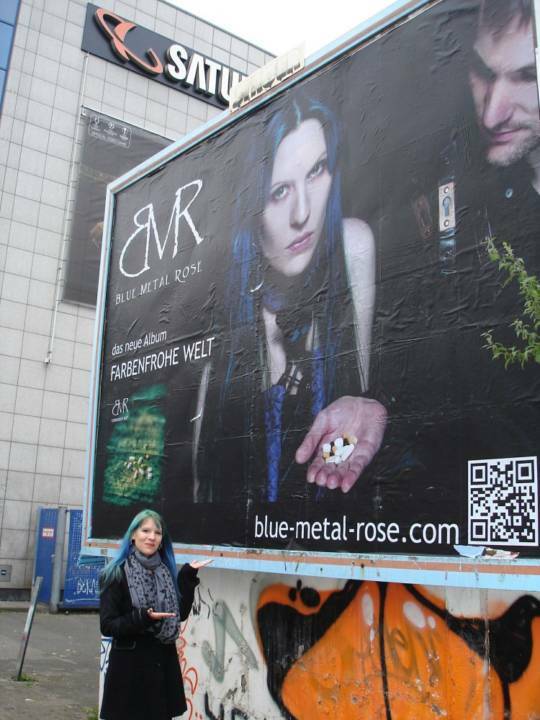 Also!… You might even see Blue Metal Rose performing on the stage Live! Watch them on Amitopia TV. The channel is a Amiga only orientated TV channel distributed over YouTube. Sometimes you will see Amitopia TV productions on Distrita TV also. The channel made a Blue Metal Rose Special that you can see above or on YouTube. This group produces fantastic music that gives you something to think about. Their music puts you into a superb mood and helps you thru the day in every way. At this event, you will also be able to meet Michael, the man behind Amiga Racer. He will be at Gamescom everyday, promoting Amiga Racer. Make sure to visit him at his stand. Amiga Racer is the New Crossplatform arcade Racing game that is getting regular updates. The game looks gorgeous and gameplay is like in the old arcade racing games. In this game you get a full Lotus arcade feeling on todays hardware. So, Arcade racing has never been so much fun! Download it today from our Amiga Racer Support page. photosource AmigaTec | Race on various tracks in Amiga Racer with many soundtracks that you can choose from! Amiga Racer is now out for most of the systems. Check out Distrita’s Amiga Racer support page!